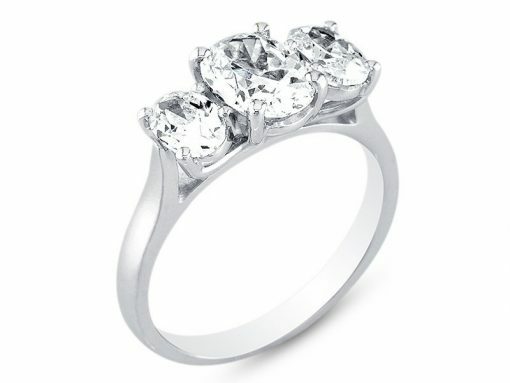 A stunning oval cut diamond set in four claws with two smaller oval cut diamond side stones. Completed by a plain band, this ring offers a subtle twist on the classic trilogy ring. At Voltaire Diamonds, we can custom make this ring for you, assisting you throughout the process of creating your dream ring. We would be delighted to meet with you at our offices just off Grafton Street. 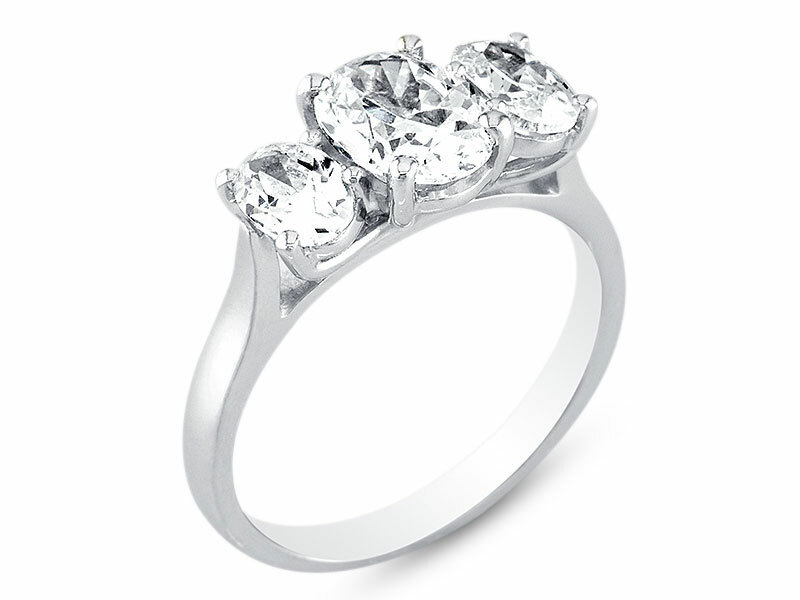 At Voltaire Diamonds, we aim to provide a comfortable service for one of the most special purchases in your lifetime. We can be contacted on 01-6778449 or info@voltairediamonds.ie to book a consultation.